short girl, long island. 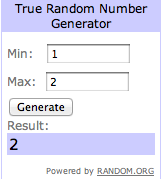 : Giveaway, Day Six: Kouture. CLOSED. Happy Thursday! I don't know about you, but I am stoked to be thisclose to the weekend. The sixth giveaway for Giveaway a Day December comes from Kiley, who has been on the blog a few times before. She owns Kouture, which is one of my favorite shops. Kiley's gift to one lucky winner is a $25 gift card + a 20% gift code, personalized just for you! She's also giving away a $500 shopping spree, so make sure you get your entry in [last day for entries in both contests is December 16]. Good luck! If you've missed a day in the giveaway, catch up + see what you missed. While you're here, don't forget to check out today's Teach Me Something Thursday. UPDATE: Since none of the entrants who used Rafflecopter to enter followed directions [none of the entrants left a comment on this giveaway, which was a mandatory entry]. The two individuals who commented below did complete the mandatory entry, but did not utilize Rafflecopter, so I had to use random.org to choose a winner of the two ladies that entered. Dazed & Confused Mini Dress for a friend of mine. She would look killer in that.